Flavor scientist David Dafoe, founder of Flavorman. Beverage brands large and small rely heavily on David Dafoe's taste buds. Dafoe is a flavor scientist and founder of Flavorman, a 35-person firm in Louisville, Ky., that develops drink flavors for brands like Jones Soda, Ocean Spray, Joia Life and Diageo (DEO) (which owns Johnnie Walker and Smirnoff). The small business has engineered 443,000 beverage formulations since it launched in 1992. Surprisingly, his clients aren't all humans. "We've formulated taco-flavored soda, bourbon soda [and] devil's food cake vodka -- not to mention beverages for dogs, cats, horses, even hummingbirds," Dafoe said. 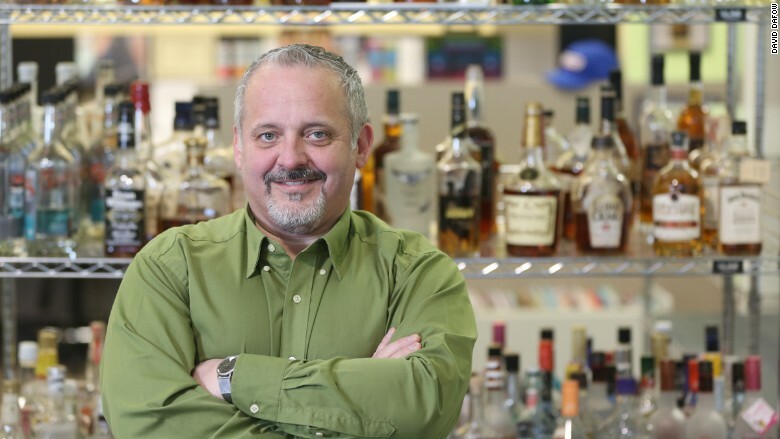 The magic happens in an 24,000-square-foot facility in downtown Louisville, which he calls the heart of the distilling industry. 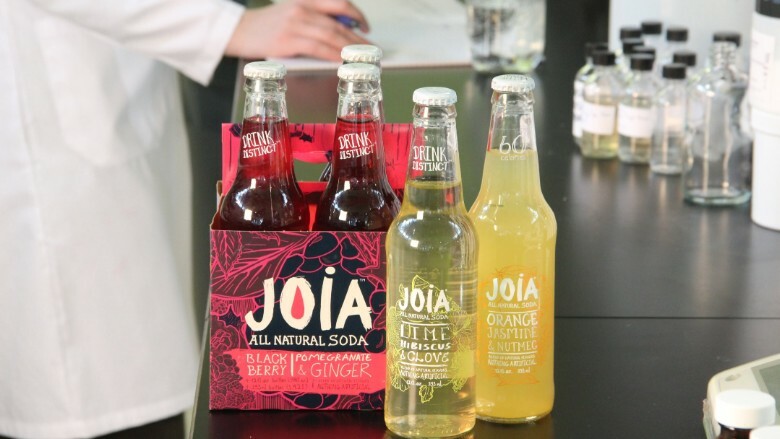 "People come to us to create a completely new flavored drink or to test an idea they already have," he said. "We figure out what flavors go with what." For instance, if someone wants to market a new soft drink, Dafoe's team asks: What color and flavor? Will it have natural ingredients? What's the caloric content? Beyond that, his firm also discusses packaging and marketing strategy. Will the product be in a plastic bottle, glass or can? Who's the target consumer? The cost to clients: $12,000 to $20,000 per project -- and Dafoe said he can have a prototype in just 10 days. Last year, Flavorman logged $7 million in sales. Dafoe expects to double sales this year. Sometimes large beverage companies with their own in-house flavor labs get stuck in a rut. So they reach out to Flavorman for fresh perspective. It happened with Ocean Spray. "All they made was cranberry juices," said Dafoe. "We suggested they add lime juice to their formulations for a twist." Flavorman helped a husband-wife entrepreneur team develop a vitamin-enhanced soda, which was ultimately acquired by Pepsi (PEP). That same couple became a repeat client, working with Flavorman to create Crispin Hard Cider. More recently, he helped three young entrepreneurs develop a brand of boxed wines, called BeatBox, which garnered $1 million from Mark Cuban after they pitched it on ABC's Shark Tank in October. Dafoe said he's always had a keen sense of smell. But he didn't pay attention to it until he landed a job in Cincinnati with a firm that made flavors for consumer products. It's where he learned he could accurately identify and catalog as many as 100 different flavor extracts. He left that job in 1992 to open a consultancy, which evolved into Flavorman. In 2013, Dafoe launched a sister company, Moonshine University in Louisville, which offers a week-long distillers course. "For me, it was a no-brainer," said Dafoe. "There's been a giant jump in the popularity of craft drinks like beers and flavored moonshine. We want to educate entrepreneurs about how to do it right."